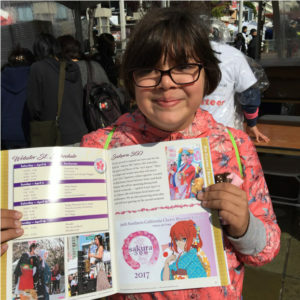 The Scavenger Hunt returns to the Northern California Cherry Blossom Festival for its 3rd year and we are excited to help you discover the treasures of Japantown that make every year’s festival possible. Each mission and activity will challenge you to attend and experience, learn and discover, and take photos and videos of the groups, non-profit organizations, businesses, and the 100’s of volunteers that make up the festival. Players with the highest number of points (per day) will have the opportunity to win a prize on each day of the festival. Each day, the points will reset for a brand new game. Players can only claim their prize once to allow other players the opportunity to play and win. Please join us for both weekends of the festival for our app-based scavenger hunt powered by GooseChase. 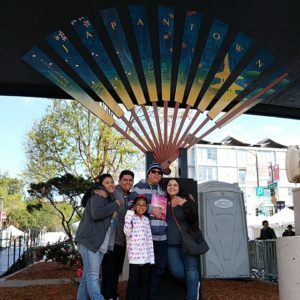 To participate: download the app – GooseChase in your iOS or Google play store and search for 2019 Cherry Blossom Festival Scavenger Hunt and join in on the fun! Have any questions? Need help? 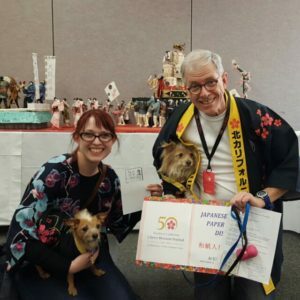 Visit our Festival booth located at the 2nd floor entrance of the Japanese Cultural and Community Center of Northern California (the Center on 1840 Sutter Street) for more rules and information or feel free to email us at scavengerhunt@nccbf.org. We hope you enjoy your experience, thank you for playing!